NOTE*** Please bookmark this page so you can have easy access to the course in the future. Hello and welcome to the online course Manifest Your Twin Flame! Today is the first day of the rest of your life! 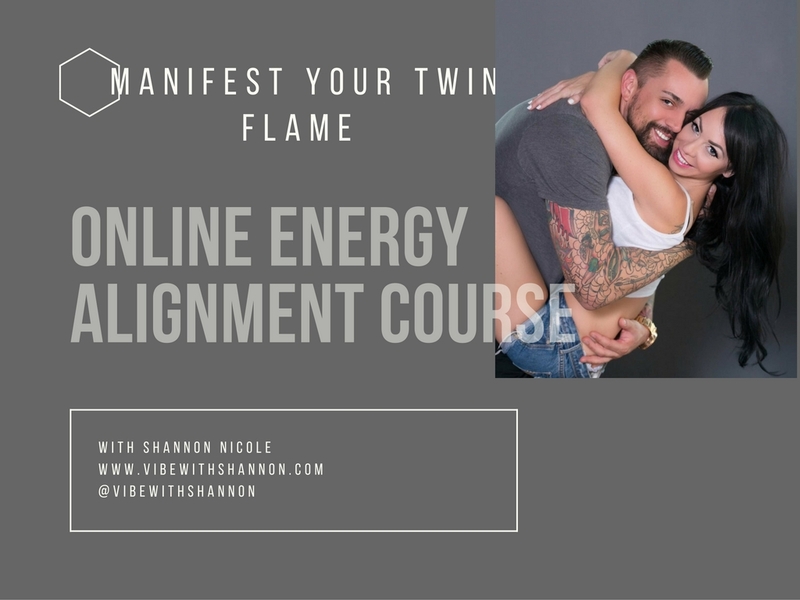 In this course I teach you how to clear out anything that has been energetically blocking you from manifesting your Twin and the Love of your life! Begin by watching the videos and practicing the energy clearing exercises in order as they go. It is important not to rush or skip ahead. In this section we are priming our energy to prepare for the Twin Flame Union. 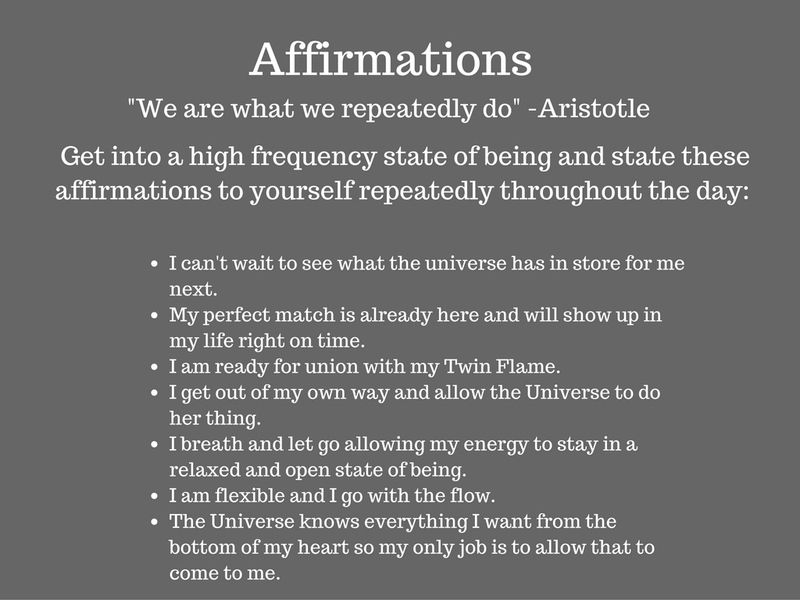 Over the next few weeks we will clear out and re-program your energy to elevate you to a frequency that is high enough to allow the Twin Flame connection to manifest. Please re-visit the videos often and move along as you are guided, but do not sell yourself short by rushing. 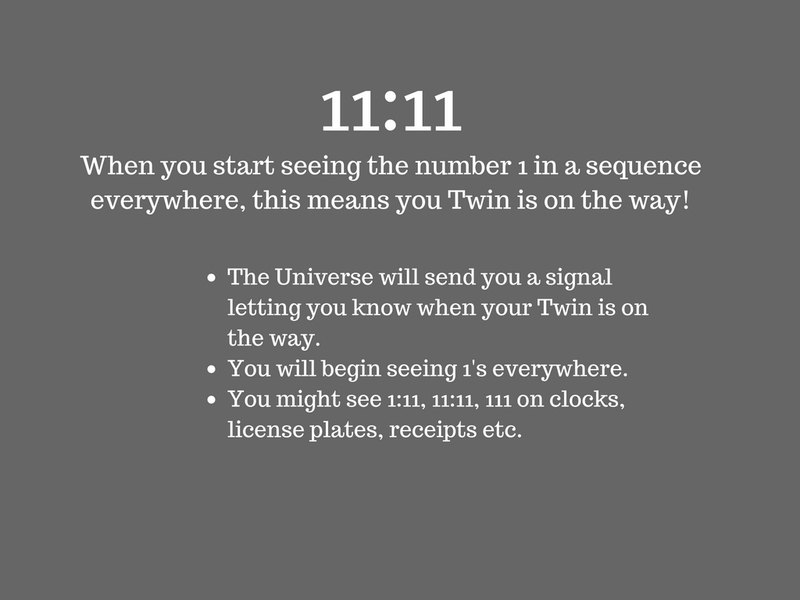 The Twin Flame Union is exciting and therefore tempting to hurry up and complete the course, but you will not accomplish anything beneficial by rushing through the course. Taking your time will only benefit you more, as you will bring your energy into alignment with the energy of your Twin Flame more efficiently. We don't attract what we want, we attract what we are. 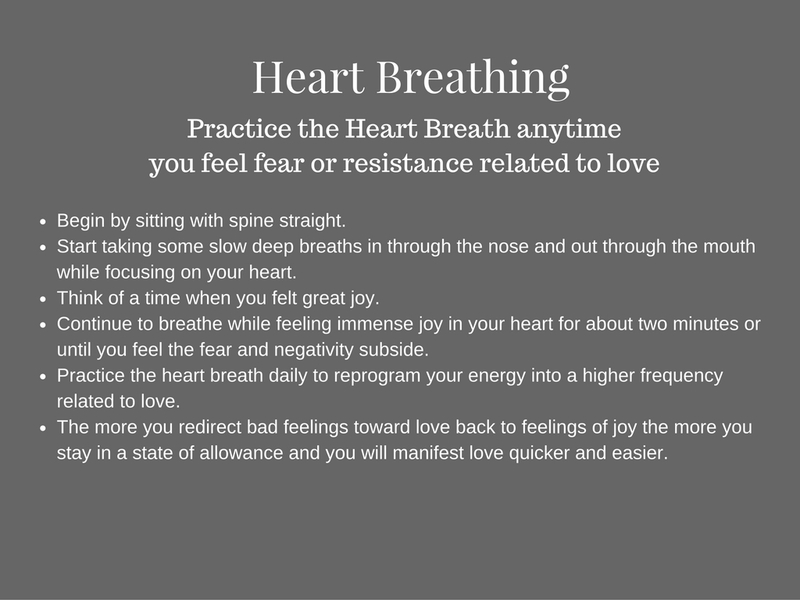 In part two of the course you will begin to reprogram your energy by practicing affirmations and Heart Breathing daily. Gaze at this image for 60 seconds to encode your energy with the Twin Flame Sacred Geometry Activation. Congratulations on completing the course! One of the most important things to keep in mind is that TRUST and ALLOWANCE are the major keys to manifesting the Twin Flame Union. If you feel fear, doubt, negative thoughts or resistance start to arise, stop, and begin your Heart Breath and then repeat your affirmations. Completely letting go and trusting that the Universe knows deep down, everything that you truly want and then allowing that to come to you in the perfect time will be the key that unlocks the door to your Twin Flame. Remember, the Twin Flame is the other half of your soul. This is your perfect match. When you align your energy, you clear anything that blocks the Twin from arriving into your life. You planned this union before you incarnated onto this Earth. You are ready for this, and you will see when it arrives what true happiness and bliss feels like. Thank you so much for allowing me to guide you through this journey. I am honored to be walking this path with you and I cannot wait for you to experience the bliss of your Twin Flame Union. Big Hugs and Lots of Love!